You are here: Home / Blog / Brexit. Give to us straight! Brexit. Give to us straight! Social media loves the sort of meme that shows a group of photos with accompanying captions stating; ‘What society thinks I do’, ‘What my friends think I do’ etc, ending with a self deprecating ‘What I really do.’ The Government got served with one last week, courtesy of TV hard man Danny Dyer. For any Brit no more introduction is needed to Mr Dyer’s identity than ‘landlord of the Queen Vic’ (for my readers outside the UK, ‘The Vic’ is a pub in the fictional the long running UK soap series, Eastenders). Appearing on the TV show Good Evening Britain Mr Dyer spoke for much of the nation when he let known his opinion on Brexit. The problem with being involved in politics is that it’s very easy to get sucked into an echo chamber. Backbench MPs are more grounded by spending more time in their constituencies, but for those in senior positions it’s easy to assume that the rest of the country is also avidly following every twist and turn of the Battle for Brexit. Danny Dyer spoke for the much of the nation – the majority of whom got bored with the ‘mad riddle’ approximately 23 months ago. That is a luxury Theresa May no doubt wishes she had as she lies awake at night fretting about the scenario that will come to pass this weekend with a Chequer’s summit to (finally) sketch out a white paper laying out the government’s Brexit strategy. The Daily Mail called Mr Dyer’s outburst a cheap shot (landlord pun intended? ), but around the country many applauded it as an honest reflection of public frustration. 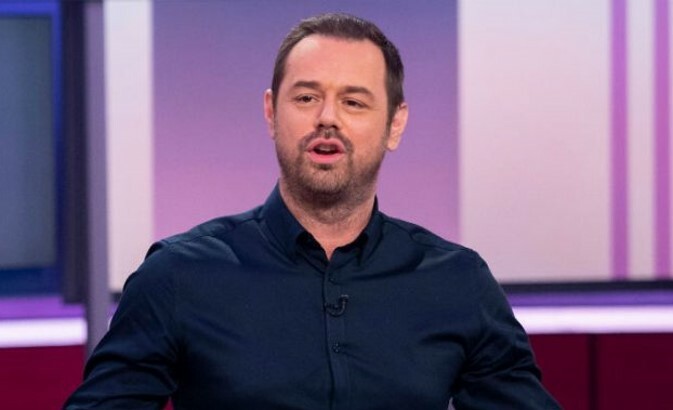 I have written before about the importance of authenticity and Danny Dyer has it in spades. He’s not the only one. Over the past two years some of the sanest voices in politics have often been those who more commonly surf the waves of light entertainment. Football presenter Gary Lineker is one who has put his head up above the parapet a number of times to talk about Brexit, and the general ‘anger‘ that played a part in the referendum. It’s a chord that strikes true with much of the electorate but one that politicians often conveniently kick in to touch as they roll out their own justifications honed in the echo chamber. Comedian Frankie Boyle is another outspoken critic. Once an almost pariah for his close to the knuckle humour, he has found his reputation raised in the past couple of years by daring to speak what many of the country are thinking. What the Brits have been crying out for is someone to grab Brexit by the scruff of the neck and give them all, Remainer and Leaver, an honest vision of the future – with pros and cons – the foundations on which to hang some hope. Perhaps Mrs May could do a lot worse than give England manager Gareth Southgate a shot (endorsed by former Cabinet minister Damian Green), based on how he’s revived the image of the England football team since taking the reins shortly after the referendum result. Not unlike Brexit, expectation frequently outstripped reality when it came to the England football team in major tournaments. The young England manager has avoided many of the pitfalls of his predecessors by finding a new way, being honest about expectations and, perhaps most tellingly of all, reinventing the team. Where once it was a vehicle built around high profile stars (who invariably flopped), it is now a collective of team talents, working for the common good. Win or lose, the country has warmed to the new feel. As Theresa May goes into the next round of her personal knock out tournament, the opposition is formidable. Britain’s hopes rest on her getting a result to take it through to the next round, where country faces a tough European side. What she needs is a solid team behind her and a bit of steel to the backbone. Can someone please give the Queen Vic a call! https://www.deburghgroup.com/wp-content/uploads/2018/07/Danny-Dyer.jpg 410 673 Luan de Burgh https://www.deburghgroup.com/wp-content/uploads/2015/12/DeburghGroupLogo21.png Luan de Burgh2018-07-03 10:05:212018-07-03 10:05:21Brexit. Give to us straight!